Four models - destined chiefly for the British and Canadian Armies. 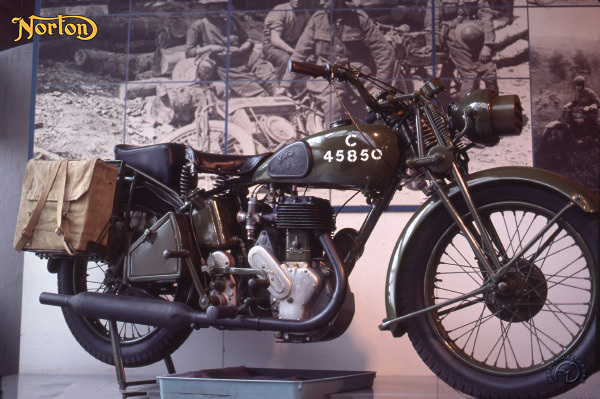 The model shown, the 16H, was a simple and robust 500cc sidevalve single. It was used both as a solo mount and with a sidecar. domestic market). It was a designation which didn't disappear from the catalog until 1955.
distinction of having a battalion of female motorcyclists . The military version was very similar to the civilian 16H of 1937. It lacked the chrome plate and pretty paint job, but bad gained a strong baggage carrier and headlamp blackout mask.